We’ve all heard them; the “jokes” and criticisms that undermine female abilities and strengths as a whole. To equate the characteristics of “a girl” is to be weak, inferior, and just not quite good enough. This was my experience, repeatedly, while traveling throughout East Africa. For just over two years, I lived in rural Uganda and was fortunate enough to adventure with some incredible and courageous women. 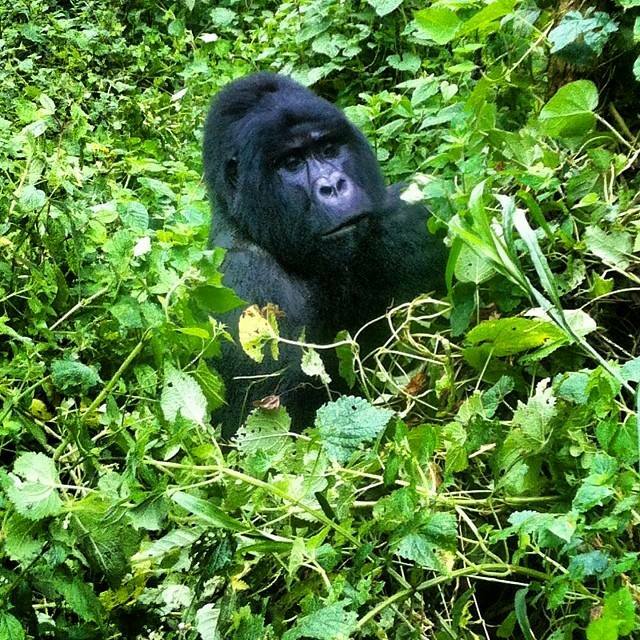 One of my favorites being during a trek through Bwindi Impenetrable National Park in hopes of visiting the mountain gorillas residing there. A friend and I journeyed out to the base of the camp to meet our guides and the rest of the group. We were only a few, mostly women, and of varying ages. With the sun bright and day promising, we ventured out. However, no more than a few minutes later, clouds appeared from thin air and poured oceans out on top of us. For hours, we trekked through the soggy, impenetrable greenery before reaching the gorillas. Once we had, we followed them as they ate their way through a patch of green - climbing high up a twig of a tree, munching off the leaves, then leaning back to use their entire body’s weight to bend the thin trunk until it snapped and adorably dropped them safely back on the ground. After the most incredible hours of locking eyes with the months old baby gorilla, observing the family’s interactions, and making sure to not annoy the silverback, it was time to head back. Soaked, but happy, we headed on our way until hitting a patch that was so steep we had to literally run up the side at an angle to keep from falling. I remember this group of women, newly friends and decades between them, encouraging and cheering for one another to not give up on this tricky path. We reached out our hands, helped carry bags and bottles, and advised one another on the best places to step or when to clutch onto the overgrown earth for security. We stayed together, making sure everyone was able to reach the top safely, and celebrated each other’s victory by sharing little snacks and lots of smiles. Another favorite stereotype busting adventure happened when my female friends and I hiked to the top of the active volcano, Mount Nyiragongo. Oh, by the way, one of those friends was doing the hike WHILE ON CRUTCHES! Women. Are. Strong. This superhero had injured her foot a few days before we were supposed to enter the Democratic Republic of the Congo and head to Virunga National Park, but she was determined. Nothing was going to stop her. Even when we had issues obtaining my visa at the border, she calmly helped me take care of the situation, despite her pain and personal issues at hand, and we continued on our way. Upon reaching the base of the volcano, she grabbed her crutches and her backpack and took-off without a second thought. When the sides of the volcano were steep and covered in small stones that caused even the most well-adjusted foot to slip, she leaned on me; and when my hands were covered in peanut butter, she helped me put sunscreen on my nose. This is how women travel -- they look out for one another. We would have done even more to ensure everyone made it to the top, if need be, piggyback rides included. Camping by the beautiful lake of lava at the top was too mesmerizing to miss. Two of the other most mesmerizing places I traveled to were the Nile River and Lake Bunyonyi. These bodies of water were perfect for washing away all of societies heavy judgements. 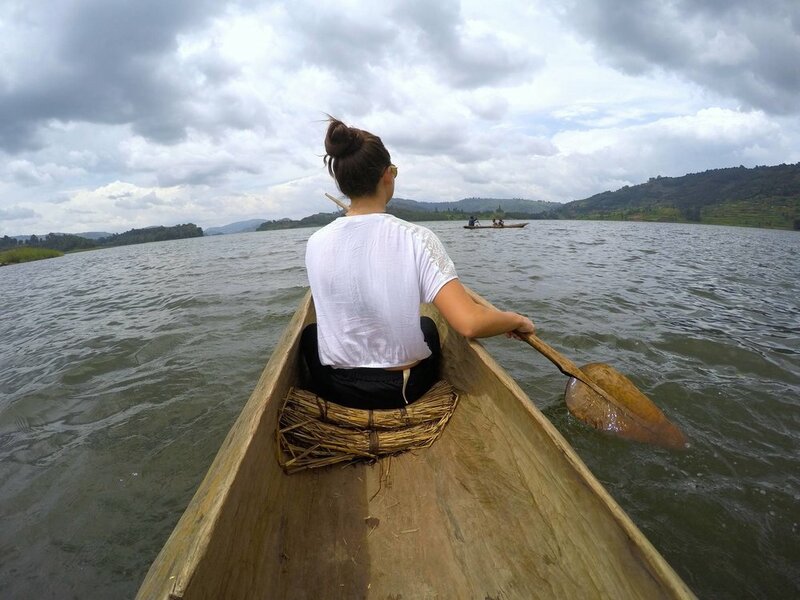 I will never forget rafting, kayaking, and paddle boarding down the Nile or jumping from the rope swing, swimming from island to island, and canoeing hallowed out trees through the lake nestled in the foothills of the mountains with my female friends, feeling nothing but courageous and brave. Not once during all of these empowering adventures did I hear a derogatory “like a girl” comment. Looking back, if someone had made that comment then, it would have actually been a compliment because we were incredibly brave like a girl, tough like a girl, and strong like a girl. Girl power, y’all!